*Please note: This tribute page is accurate up till 2005. We are working on adding content through 2013. It all started with a guitar, a guitar that I had bought with my first self earned money in 1962. When I was 13 years old, I made my first musical steps, together with UDO DIRKSCHNEIDER in a band that later turned into ACCEPT. I got introduced to the music business in 1972 as an electronic engineer in a company named STRAMP in HAMBURG, GERMANY. We were designing and manufacturing studio and stage equipment. It was a very small company, so I got a lot of hands-on experience additional to the classes to earn an electronic degree. From my boss, Peter Strueven, I learned a lot about handling business and how to deal with musicians, which was very important for my career as a producer. In 1979 I built a 16-track studio in Hamburg, called TENNESSEE TONSTUDIO, named after a band, whose members were partners in the studio. Here I learned the basics of recording and engineering. In the beginning the studio wasn't booked that well, so I had enough time to really get into all the outboard gear and studio equipment. My job was very wide spread, from managing the place through aligning tape machines, maintenance and long hours of engineering. 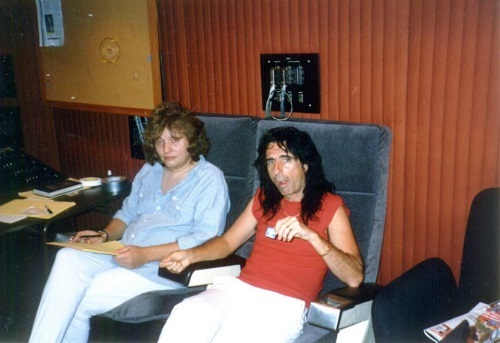 Alice Cooper - "Raise Your Fist And Yell" sessions at Amigo Studios - with Alice Cooper, Garth Richardson, Kane Roberts and Michael Wagener. Towards the end of 1979 I met Don Dokken who was touring Germany at the time. We hit it off from the start and Don invited me to AMERICA. I followed that invitation a month later and flew to Los Angeles for a short vacation. Long enough, though, to find out that this is the place to be. So I decided to come back and stay for good. In March 1980 I followed up on that decision and moved onto a couch in Don's living room. We shared a house with ALAN NIVEN (Manager of GUNS 'N ROSES and GREAT WHITE) and BOBBY BLOTZER (RATT). I got a job as maintenance engineer at LARRABEE SOUND STUDIOS in HOLLYWOOD. The money I made was hardly enough to cover living expenses in a city like LOS ANGELES. At this time UDO DIRKSCHNEIDER came for a vacation to America and offered me to do the live sound for ACCEPT in Europe. So I went back to Germany, knowing I would return to the USA sooner or later. 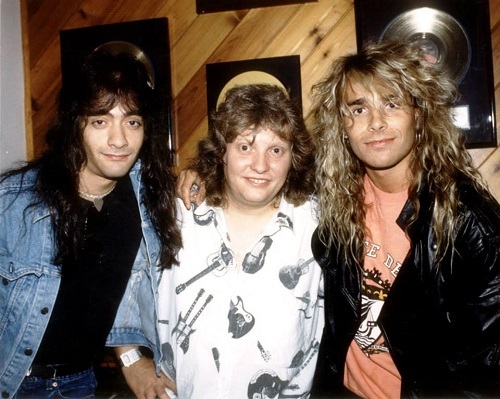 Dokken mix for "Under Lock And Key" at Amigo Studio North Hollywood 1985 — with Michael Wagener. I started touring Europe with ACCEPT doing live sound, then, towards the end of 1980, I went into the studio with them to engineer "BREAKER" with producer DIRK STEFFENS. Early 1981 Don came back to Germany trying to get a record deal. After recording a bunch of demos and with the help of GABY HAUKE (ACCEPT’s manager) we finally pulled it off. 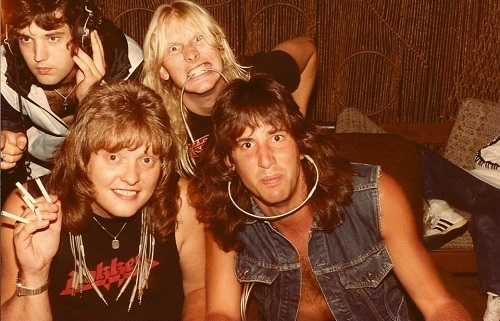 I got my first job as a producer on DOKKEN's first record "BREAKING THE CHAINS", which was later, after we modified it somewhat, released by ELEKTRA RECORDS in America and eventually went gold. I am especially happy about that, because it was my very first production. 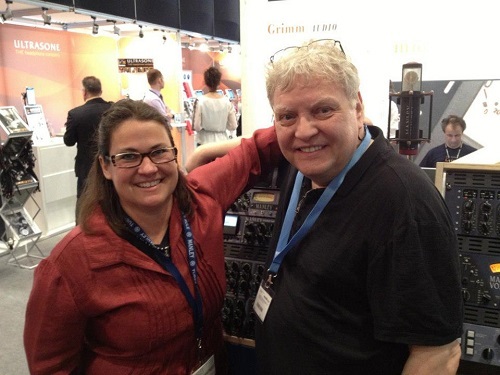 EveAnna and Michael Wagener at the Manley booth - Frankfurt Musikmesse. From 1981 to 1984 I worked mostly as an engineer/mixing engineer together with producers like DIETER DIERKS on PLASMATICS and WARNING, and DIRK STEFFENS in Germany but continued to take short trips to America. Here I had the opportunity to work with MÖTLEY CRÜE on "TOO FAST FOR LOVE" (LETHUR RECORDS) and GREAT WHITE on "OUT OF THE NIGHT" and later on their EMI-AMERICA debut "GREAT WHITE". During that time, in 1983, Udo and I started a production company in Germany called DOUBLE TROUBLE PRODUCTIONS. We did a bunch of small productions in Europe under that name. The big change happened in February 1984 when I got a call from TOM ZUTAUT (ELEKTRA RECORDS at the time) to record a single with the band "X" (WILD THING). I came back to America and planned on staying for two weeks. But during that time I got a lot of mixing and production jobs offered (VICTORY, WHITE SISTER, RAVEN, MALICE, 45-GRAVE etc. ), so I decided to stay for good this time. On the other side of the Atlantic, ACCEPT got more and more successful and UDO wasn’t going to move to America. He left the company and I started DOUBLE TROUBLE PRODUCTIONS, INC. in LOS ANGELES. White Lion pre-production for "Big Game" at Total Access Studio, Redondo Beach with Vito Bratta, Michael Wagener and Mike Tramp. In 1984 I also got to work with producer/engineer legend Roy Thomas Baker on the mix of DOKKEN’s "TOOTH 'N NAIL". Roy, who had produced bands like QUEEN, CHEAP TRICK, JOURNEY, CARS etc was an endless pool of knowledge, and gave me a lot of inspiration for my own style of producing and mixing. In March 1985 I produced "AIN'T LOVE GRAND" with "X" and in June 1985 STRYPER's "SOLDIERS UNDER COMMAND". The first bigger success came with the production of DOKKEN's 'UNDER LOCK AND KEY" which sold well over two million units. During the following years jobs came in easy and I got to do mixes for POISON "LOOK WHAT THE CAT DRAGGED IN", METALLICA "MASTER OF PUPPETS", MEGADETH "SO FAR, SO GOOD ...SO WHAT" and productions like WHITE LION "PRIDE", ALICE COOPER "RAISE YOUR FIST AND YELL" and SKID ROW's first album "SKID ROW" which instantly went triple platinum in the states alone. By now that record sold around 10 million copies worldwide. 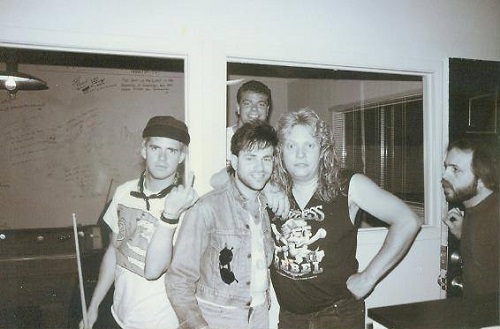 Metallica - "Master Of Puppets" mixing sessions at Amigo Studios — with Lars Ulrich and James Hetfield. 1990 started with a live mix for STEVE JONES "FIRE AND GASOLINE" and right after the production of EXTREME "PORNOGRAFFITTI" I got to mix JANET JACKSON's single "BLACK CAT", which was quite a departure from the Heavy Metal genre. In September 1990 I produced a 14 song album with the Florida band SAIGON KICK which we completed in 28 days and in December 1990 we started pre-production for the new SKID ROW album "SLAVE TO THE GRIND", which we recorded at New River Studios in Fort Lauderdale. 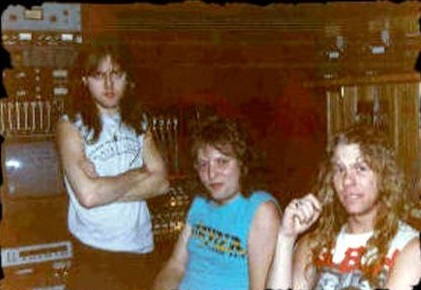 Skid Row recording sessions for SkidRow Royal Recorders Wisconsin 1988 with David Sabo David Kent and Rachel Bolan II. During 1991 I worked with QUEEN on their "STONE COLD CRAZY" remix and did a few remixes on the MÖTLEY CRÜE "DECADE OF DECADENCE" album. The big one for 1991 was the mix for OZZY OSBOURNE's "NO MORE TEARS" album, which sold over 7 million copies. 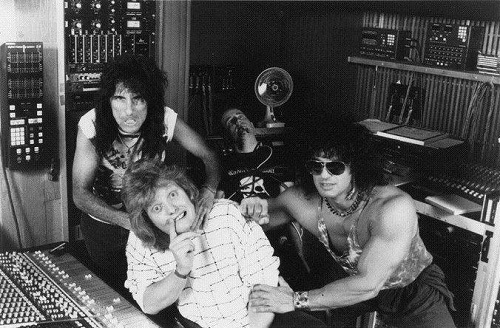 After a production with MICHAEL MONROE and STEVE STEVENS I went into Tampa’s MORRIS SOUND studio producing WARRANT's "DOG EAT DOG" which we mixed at SCREAM STUDIO in LA. 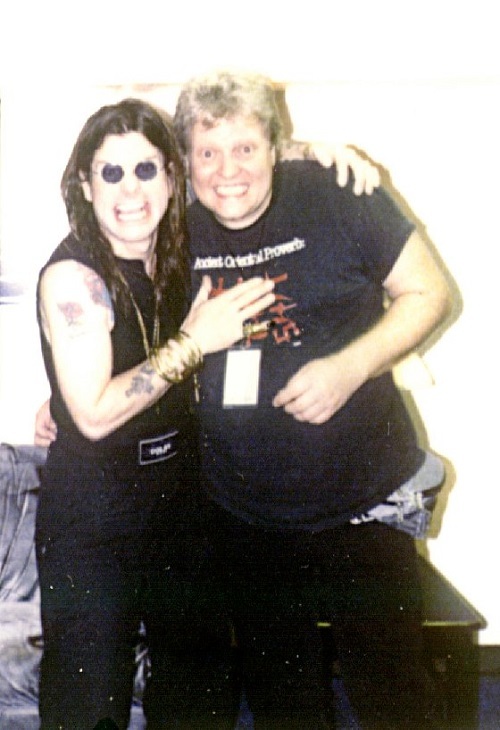 Later that year I worked again with OZZY on the first half of his next studio album OZZMOSIS, which was interrupted by his world tour, during which we recorded and mixed OZZY's "LIVE 'N LOUD" double live album and some cuts with OZZY fronting BLACK SABBATH for a one night reunion. That takes us to 1993 and the mix of HELLOWEEN'’s "CHAMELEON" album and an independent release for KEN MARY’s “SOUL SHOCK REMEDY”. Towards the end of that year I mixed the "RATS" album for SASS JORDAN. 1994 started with the reunion of the original DOKKEN band and I produced recorded and mixed their new release called "DYSFUNCTIONAL" followed by TESTAMENT'S "LOW" and STEVIE SALAS' "NICKEL BAG". Extreme - "Pornografitti" recording sessions at Scream Studio Studio City. My first Japanese production was a super heavy band called OUTRAGE. We completed their "LIVE UNTIL DEAF" studio album at SCREAM STUDIO during the earlier part of 1995 after which I went back to working with TESTAMENT on their "LIVE AT THE FILLMORE" release. During the fall of 1995 I re-joined forces with the (almost) original line up of ACCEPT to produce their "PREDATOR" album in Nashville, and the year ended with the mix for "IMPELLITTERI's "SCREAMING SYMPHONY" for JVC-Victor at SCREAM STUDIO. During my stay in Nashville I fell in love with “MUSIC CITY, USA” and in August of 1996 I moved to Nashville and built "WIREWORLD STUDIO”, a fully digital facility optimized for DOUBLE TROUBLE projects. 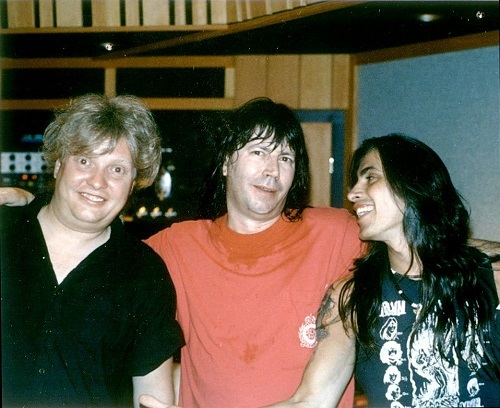 Extreme recording session with Michael Wagener, Pat Travers and Nuno Bettencourt at Scream Studio - Studio City. The first production at WireWorld was OUTRAGE from Japan for their new release “WHO WE ARE”. In the beginning of 1997 TESTAMENT came in for the mix of their "DEMONIC" album for Mayhem. In March '97 WOLF HOFFMANN and I started on the production of his solo album "CLASSICAL", all classic titles played on rock guitar. We finished recording just in time for IMPELLITTERI to come in for the mix of "EYE OF THE HURRICANE" for JVC Victor/Japan. Lucky for me, artists seem to like WireWorld. They’re able to relax out here and eradicated all my worries about "Rockers" working in a country environment. The design of the studio really works well and it is very easy to get incredible sounds out of it. 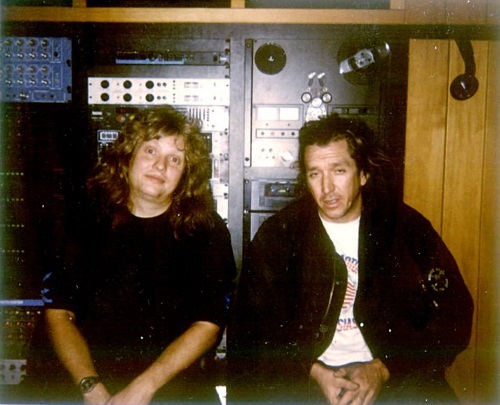 Steve Jones sessions for "Fire And Gasoline" at Scream studio, Studio City with Michael Wagener and Steve Jones. The move to Nashville brought about a whole new ensemble of artists. MURIEL ANDERSON is a very well known classical guitar player. We got to work together on her "LULLABIES AND ETUDES" album and later in 1998 we worked together on “THEME FOR TWO FRIENDS”. BADI ASSAD and JEFF YOUNG (ex MEGADETH) had me re-mix "RHYTHMS OF THE WORLD" for their “CHAMELEON” album. Nashville also brought me back together with BOB PARR, a friend whom I had met in my early Los Angeles days. He hired me on a movie soundtrack, which he was producing for the film "STUDIO 54" to record and mix the song "KNOCK ON WOOD" performed by MARY GRIFFIN. Together with KC from KC AND THE SUNSHINE BAND we worked in six different studios in Miami, Toronto and Nashville. It was a lot of fun and the track came out great. In January 1998 I worked with SKID ROW on their ‘Best Of’ called "40 SEASONS” which involved remixing and digitally re-mastering some of their classic material. Weird enough, right afterwards I worked with SKID ROWs ex singer Sebastian Bach and his new band SEBASTIAN & FRIENDS on the album “BRING ‘EM BACH ALIVE!”, recordings done in Tokyo, Japan. We went back to add more studio songs to that album a year later and Wolf Hoffmann wrote and played on one of the songs on that CD. O.C.D., another super heavy band from NYC came in to have their album mixed at WireWorld. In early 1999 ROLAND GRAPOW (ex HELLOWEEN, now MASTERPLAN) came to Nashville for the mix of his second solo release “KALEIDOSCOPE”. Ozzy recording sessions for "Live And Loud" - Ozzy and Michael Wagener. The next full production was LA band HAIR OF THE DOG with their album “RISE”, and then, 16 years after producing “ALL FOR ONE” in London, I re-united with RAVEN for the production of “ONE FOR ALL” which, just like the first one, we recorded and mixed in 14 days. Since I got to work with all those great guitar players during my career, I decided it was time to pay tribute to that craft and started production on the RANDY RHOADS TRIBUTE album. A bunch of great musicians played on this record and it went gold in Japan. I would love for this album to be released in USA, maybe I do a 5.1 surround re-mix for it. HAMMERFALL “RENEGADE”. This heavy metal band spent a few months during the summer of 2000 to record their 3rd album here which went to the top of the charts in their native Sweden. GROOVENICS a crazy band from Florida, with their self-titled release on SPITFIRE RECORDS was the last production in the original version of WireWorld. I completely remodeled the studio in September 2000, got rid of the tape based digital machines and the Yamaha consoles and installed a Euphonix R-1 48track Hard Disc Recorder and two Sony DMX R-100 digital consoles. At this time, WireWorld turned into a fully digital 5.1 surround production facility, with all new outboard gear and speakers. 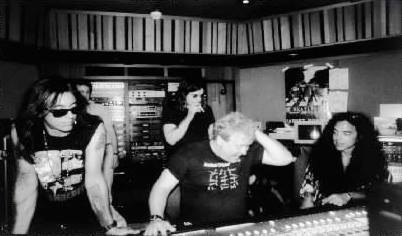 Ozzy sessions for the original "Ozzmosis" album Scream Studio - Studio City. The first project to come in after the remodel of WireWorld, was a band from Florida called ‘OLIVE CARPET” instantly followed by BADI ASSAD & JEFF YOUNG for their album “NOWHERE”. “NOWHERE” was quite a different experience, since it involved the recording of Flamenco guitar, a first for me. After a bunch of mixes and short projects in 2001, DON DOKKEN brought in his ProTools files for “LONG WAY HOME” which we transferred to the R-1 and mixed. My first ‘from-the-ground-up’ 5.1 surround project came in with TERRY LEROI and the band TITANIUM BLACK. We recorded the album “BLEED FOR YOU” completely in surround at WireWorld, even all the sound effects. We mixed in surround and stereo for a SACD release in 2004. Malice recording sessions at Total Access Studio, Redondo Beach. In July of 2003 my friends from OUTRAGE called from Japan for me to mix a few songs for their “20 YEAR ANNIVERSARY” album, which was released on 30MINUTE RECORDS in Japan. In the fall of 2003 I met a band called “LOVE OVER GRAVITY” and we started work on their debut album “END OF DAYS”. LOVE OVER GRAVITY also helped me out as the “WireWorld house band” during the “PRODUCTION WORKSHOPS” which I started in the Summer of 2003 (more on the PRODUCTION WORKSHOPS pages). 2004 started with a 5.1 surround mix for the "MERCY ME" LIVE DVD. Russ Long was the producer on this one. Christian band "TODD GANOVSKI" followed with a mix for his album "SOME TRUST IN CHARIOTS". Soon after I got a call from Bruno in Italy to mix his band "BRUNOROCK" for the "INTERACTIVE" album release. Rachel Bolan from Skid Row and John Billings from Donna Summers band played some of the bass on that record. The band FRANS MANTRA moved into WireWorld in the Spring of 2004 for me to record, mix and produce a few songs for them. FRANS MANTRA also played during one of the by now very popular workshops. We did the Frank Sinatra cover "MY WAY"
Hair Of The Dog sessions at WireWorld Studio. In the summer of 2004 I combined forces with "FLETCHER" from MERCENARY AUDIO for the MOAW, the Mother Of All Workshops. KING'S X was the band for this 4 day recording only workshop and we had all kinds of fun, recording drums in the parking lot and with a bunch of different microphone setups. KING'S X obviously had fun recording at WireWorld as well, because they came back in December of 2004 to finish the album "OGRETONES" with me producing, engineering and mixing. OGRETONES turned out great, those guys are amzing musicians and super nice people. PHONODRIVE from Germany was the next band coming in for mixes for their album "MUSIC" followed by the mix for "MIKE TRAMP'S WHITE LION" from his tour in 2005. 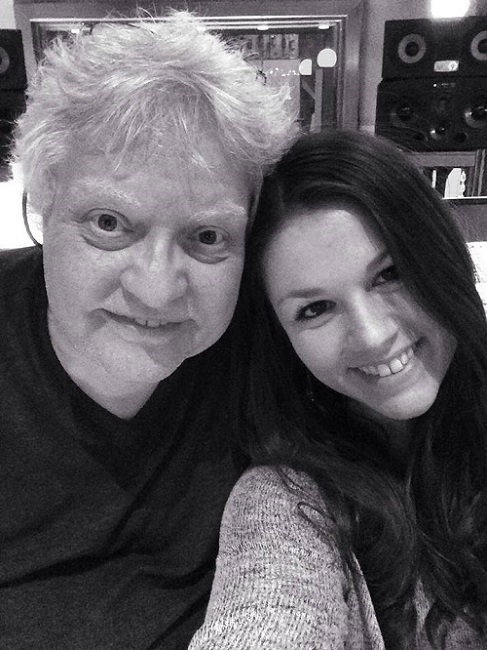 Michael Wagener and WireWorld engineer Gena Johnson. After a 3 week trip for a "EARS-4-HIRE" project at PMT Studio in Germany, during which I got to see the ACCEPT 10 year reunion show, I started a full album project with the band "HYDROGYN" from East Kentucky for their album "BOMBSHELL". We completed the 15 song album over the course of four month and I got involved designing the booklet and cover for the CD as well. After another "EARS-4-HIRE project in California, "GOLDYLOCKS" from Nashville moved into WireWorld in November to track and mix songs for their upcoming album. Do you have content or pictures, to add, of Michael Wagener? Do you just want to say "Hello!"? Please feel free to Share it, here!